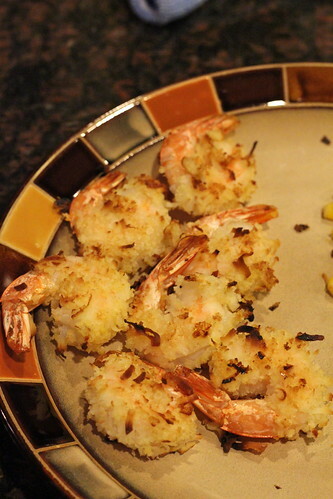 Coconut shrimp are one of my favorite seafood dishes. But usually they're fried and just not very good for you. But with this recipe, you bake them, and they come out just as delicious! Directions: 1. Spray a large baking sheet with cooking spray. 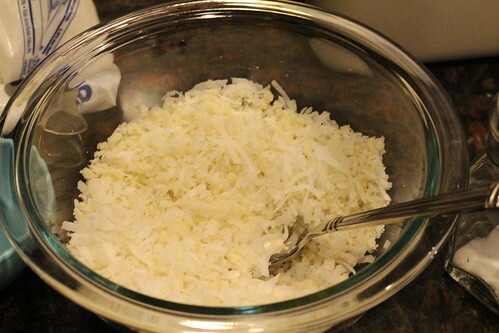 In a bowl, combine coconut flakes, panko, and salt. Place the flour in a small separate dish. Lightly beat egg in another bowl. 2. 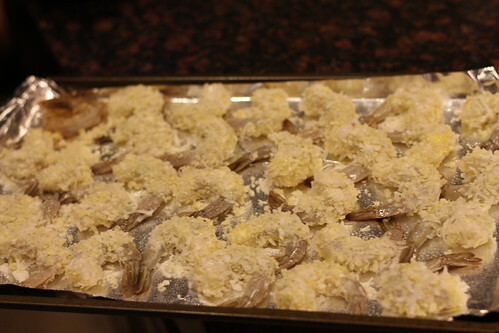 Dip the shrimp in the flour, lightly shaking off the excess, then into the egg, then in the coconut crumb mixture. 3. Lay shrimp on the baking sheet. 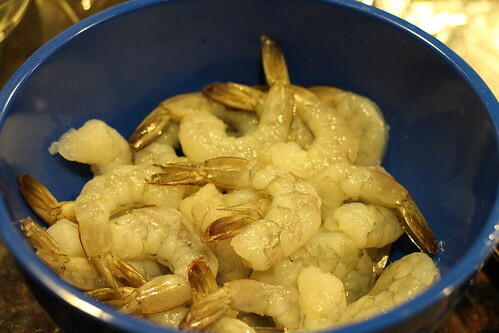 Lightly spray the shrimp with olive oil spray. 4. Bake for 10 minutes at 425. 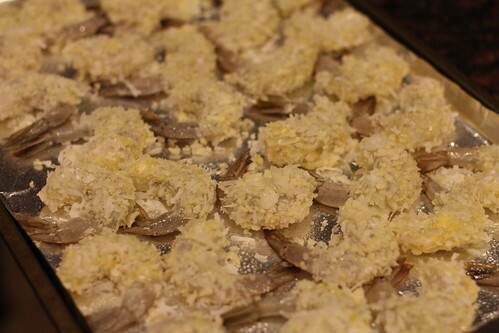 Turn shrimp over, and bake for another 6-7 minutes, or until cooked through. 5. Serve with a dipping sauce of your choice (although I don't think they need it; they're so tasty just on their own!). I am so excited to try this!! We have a really good recipe for fried coconut shrimp passed down from Adam's grandpa, but besides the fact that it's kinda unhealthy, I really hate frying things with Claire under my feet in the kitchen. Baking sounds so much more manageable!